A wide variety of users rely on Compair Australasia C series portable compressors when there is a demand for portable compressed air. Pressures range, depending on the model, from 7 to 14 Bar (101 to 204 psi). Compair Australasia 's experience in the design and manufacture of high quality and efficient portable compressors spans 200 years. (Holman was founded in 1801). The whole range consists of over 30 models, there is a model to suit several application, from the small single axle model, powering a single pneumatic tool, through to the innovative turboscrew range of machines. 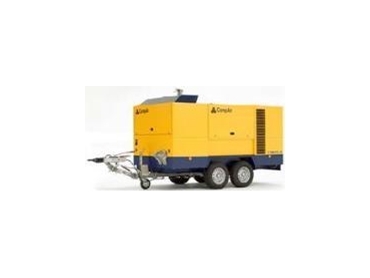 Compair Australasia portable compressors have easy access for operation and routine maintenance as standard across the range with well located control panels and simple lift off canopies or large access doors.